This large mailbox has some rust here and there... but, then again, not many people need to water their mailboxes! 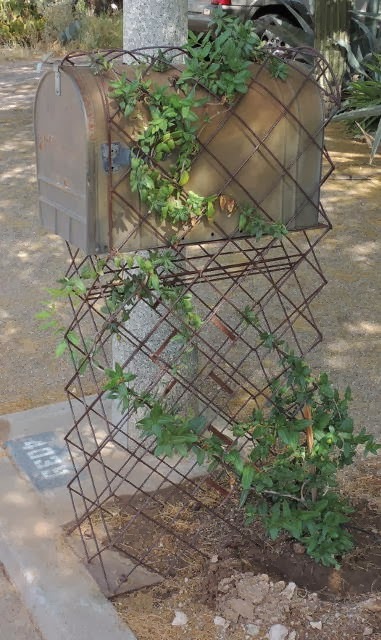 The box is also mounted on a trellis and partly covered by a climbing plant. I found it on my May 26th crisscross through Poets’ Square.